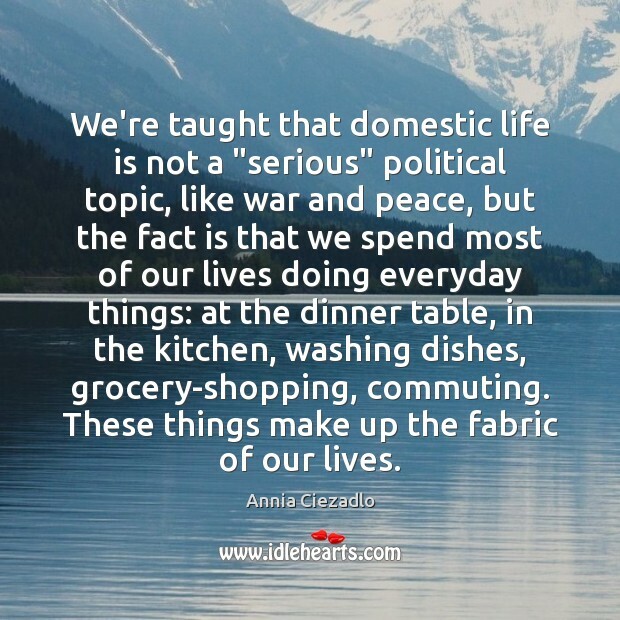 Enjoy the best inspirational, motivational, positive, funny and famous quotes by Annia Ciezadlo. Use words and picture quotations to push forward and inspire you keep going in life! 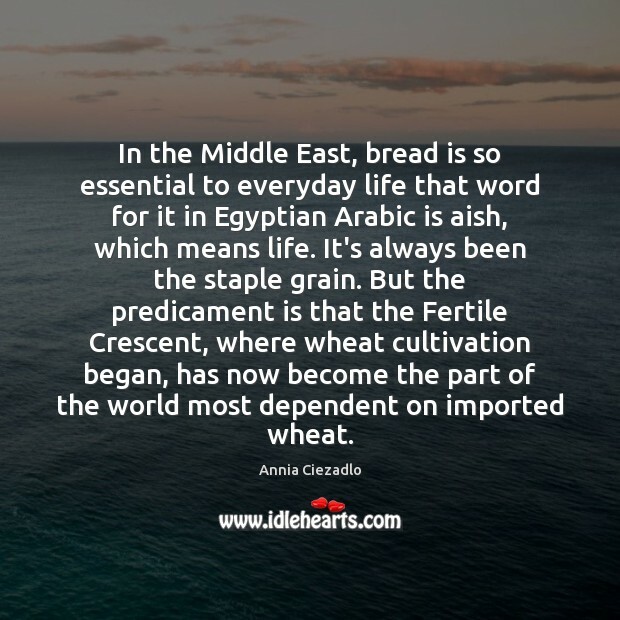 In the Middle East, bread is so essential to everyday life that word for it in Egyptian Arabic is aish, which means life. It's always been the staple grain. But the predicament is that the Fertile Crescent, where wheat cultivation began, has now become the part of the world most dependent on imported wheat. Being an American journalist can put people on the defensive. 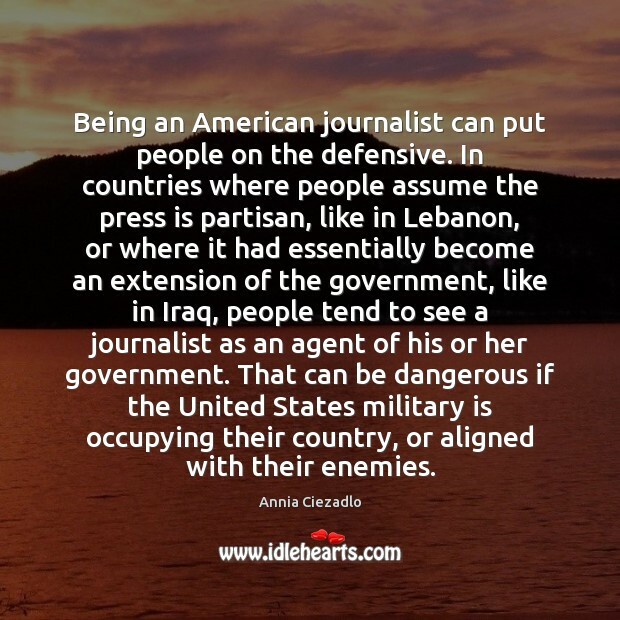 In countries where people assume the press is partisan, like in Lebanon, or where it had essentially become an extension of the government, like in Iraq, people tend to see a journalist as an agent of his or her government. That can be dangerous if the United States military is occupying their country, or aligned with their enemies. 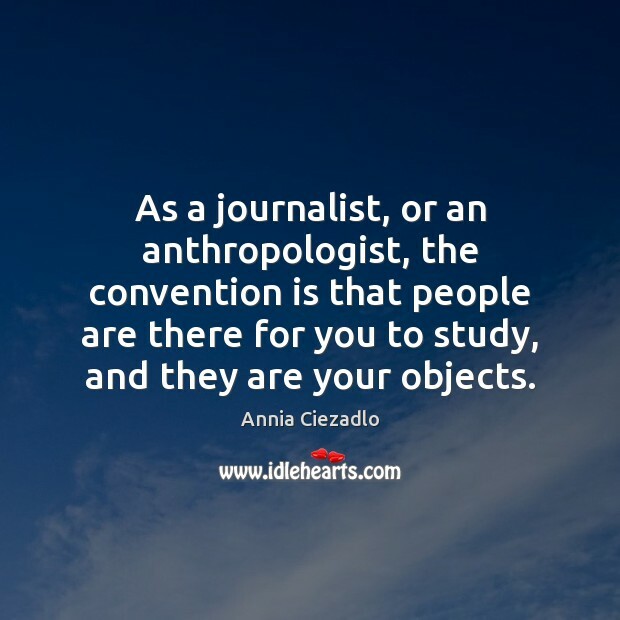 As a journalist, or an anthropologist, the convention is that people are there for you to study, and they are your objects. There's a long history in the Middle East of "bread intifadas," starting with 1977 in Egypt, when Anwar Sadat tried to lift bread subsidies. People rebelled and poured into Tahrir Square, shouting slogans against the government just like they did earlier this year. 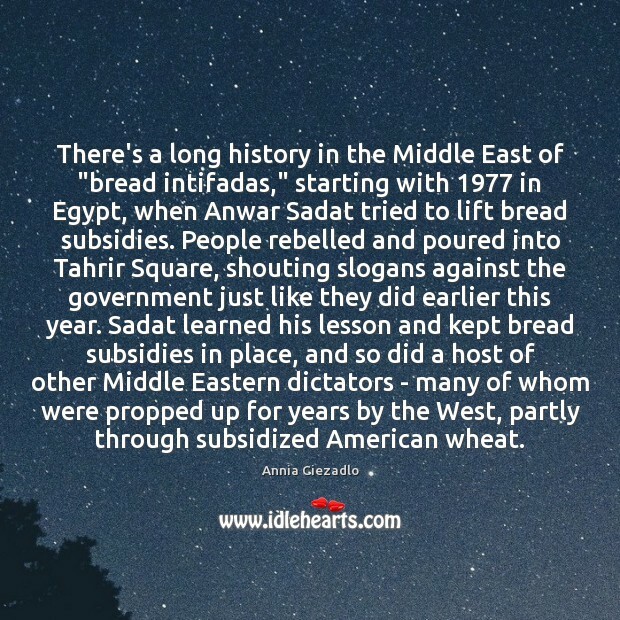 Sadat learned his lesson and kept bread subsidies in place, and so did a host of other Middle Eastern dictators - many of whom were propped up for years by the West, partly through subsidized American wheat. Part of the reason you see so little about this in the Western media is that Iraq was closed off from the outside world for so long under Saddam. But I think there's a deeper reason, which is that it messes with our assumptions - not just about Iraq, but about culture and human nature. 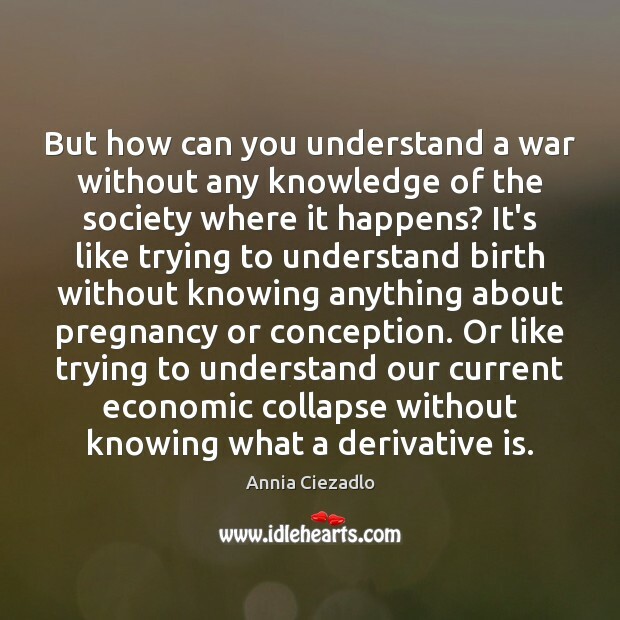 But how can you understand a war without any knowledge of the society where it happens? It's like trying to understand birth without knowing anything about pregnancy or conception. Or like trying to understand our current economic collapse without knowing what a derivative is. 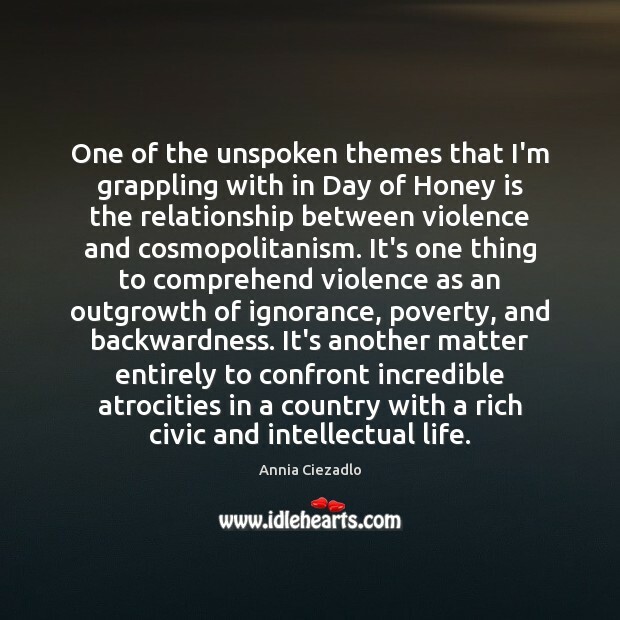 One of the unspoken themes that I'm grappling with in Day of Honey is the relationship between violence and cosmopolitanism. It's one thing to comprehend violence as an outgrowth of ignorance, poverty, and backwardness. It's another matter entirely to confront incredible atrocities in a country with a rich civic and intellectual life. There hasn't been a lot written about it in the Western media. 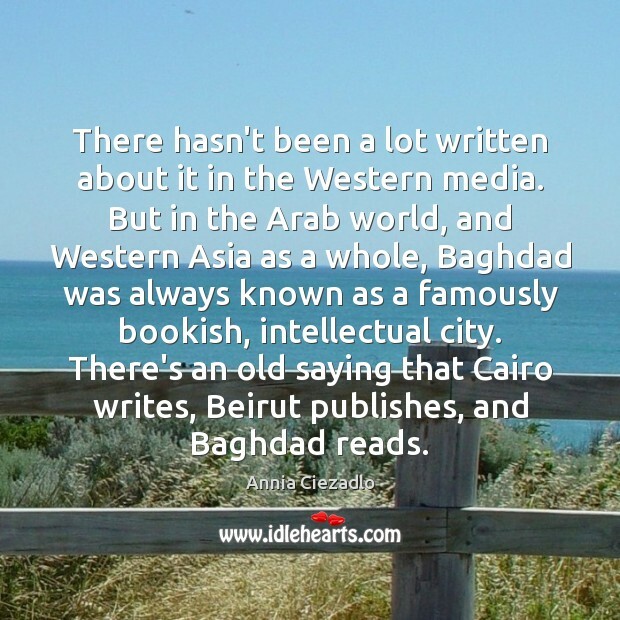 But in the Arab world, and Western Asia as a whole, Baghdad was always known as a famously bookish, intellectual city. There's an old saying that Cairo writes, Beirut publishes, and Baghdad reads. The problem is that so many of them are not getting told. This is a massive problem, not just in the Middle East but for places from Africa to Afghanistan. 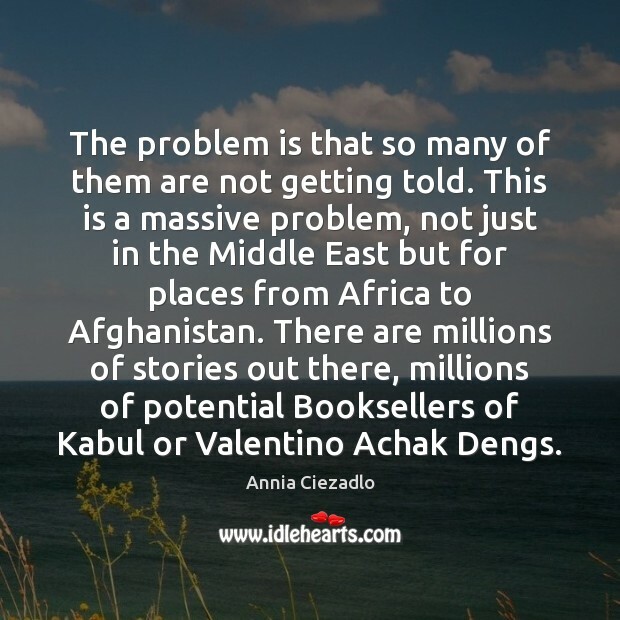 There are millions of stories out there, millions of potential Booksellers of Kabul or Valentino Achak Dengs. For my generation - the "Children of Nixon," as I call us in the book - the Lebanese civil war was an iconic event. 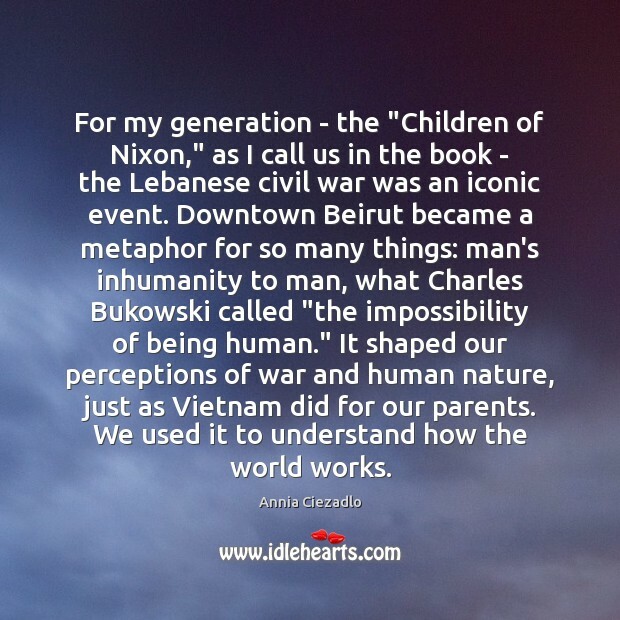 Downtown Beirut became a metaphor for so many things: man's inhumanity to man, what Charles Bukowski called "the impossibility of being human." It shaped our perceptions of war and human nature, just as Vietnam did for our parents. We used it to understand how the world works. 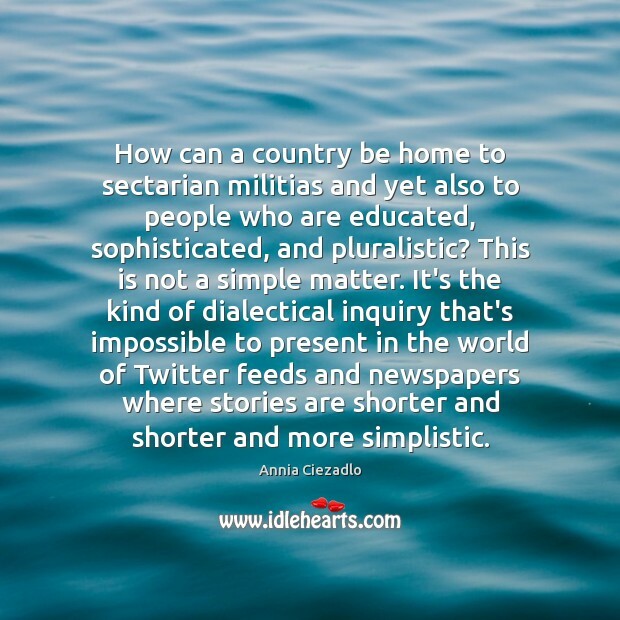 How can a country be home to sectarian militias and yet also to people who are educated, sophisticated, and pluralistic? This is not a simple matter. It's the kind of dialectical inquiry that's impossible to present in the world of Twitter feeds and newspapers where stories are shorter and shorter and more simplistic. 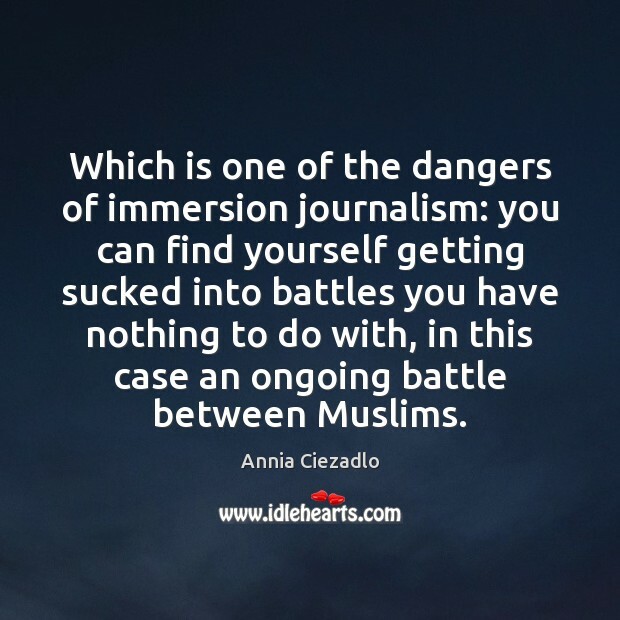 Which is one of the dangers of immersion journalism: you can find yourself getting sucked into battles you have nothing to do with, in this case an ongoing battle between Muslims. There were a hundred booksellers in the old round city founded by the eighth-century caliph al-Mansur. 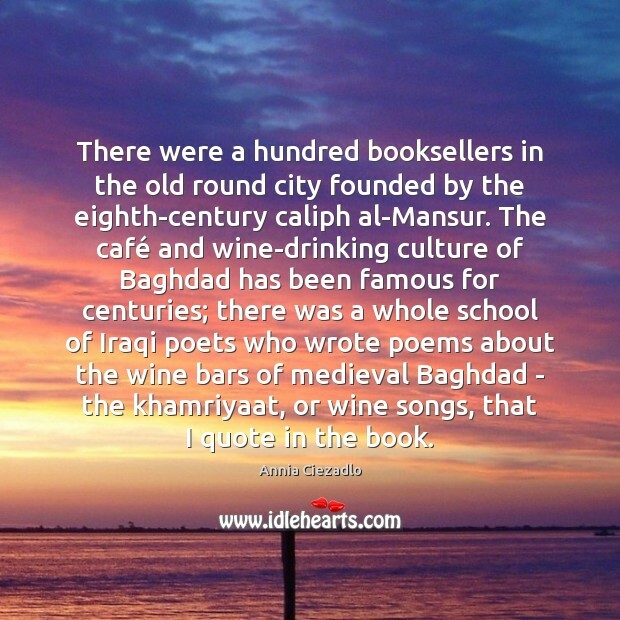 The café and wine-drinking culture of Baghdad has been famous for centuries; there was a whole school of Iraqi poets who wrote poems about the wine bars of medieval Baghdad - the khamriyaat, or wine songs, that I quote in the book. 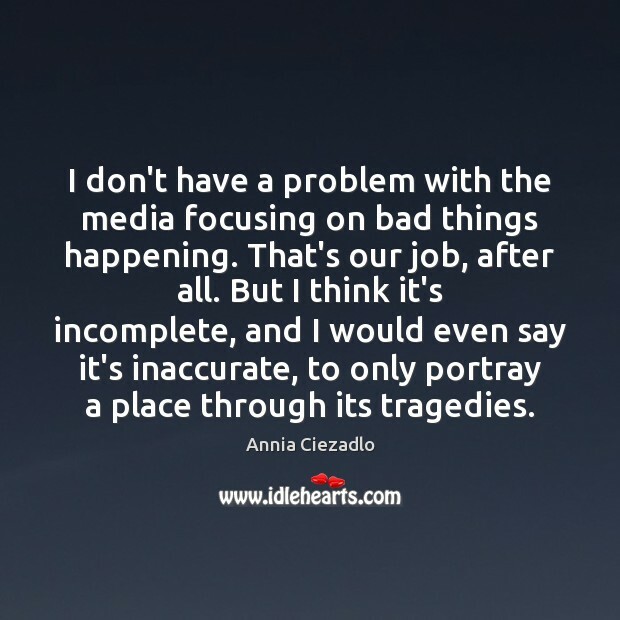 I don't have a problem with the media focusing on bad things happening. That's our job, after all. But I think it's incomplete, and I would even say it's inaccurate, to only portray a place through its tragedies. 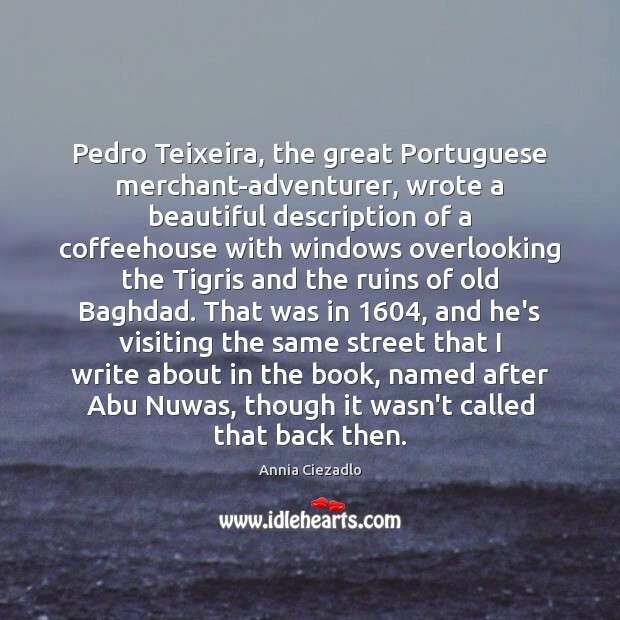 Pedro Teixeira, the great Portuguese merchant-adventurer, wrote a beautiful description of a coffeehouse with windows overlooking the Tigris and the ruins of old Baghdad. That was in 1604, and he's visiting the same street that I write about in the book, named after Abu Nuwas, though it wasn't called that back then. 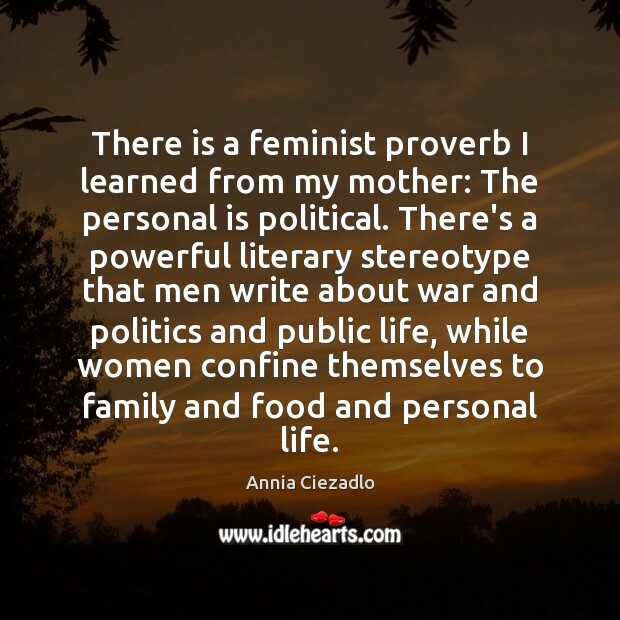 There is a feminist proverb I learned from my mother: The personal is political. There's a powerful literary stereotype that men write about war and politics and public life, while women confine themselves to family and food and personal life.